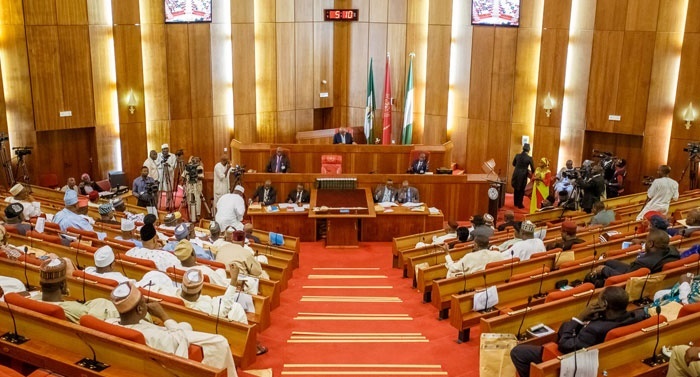 Who Is Withholding National Assembly Aides’ Salaries? As a banker to some of the NASS accounts, the bank has received the mandate to make payment to various beneficiaries and those payments have since been relayed, some via REMITA. On Tuesday, national assembly aides protested non-payment of their salaries. Apparently, one of them, Hassan Abiodun had died due to a ruptured appendicitis because he could not pay 165,000 Naira medical bill for the recommended surgery. His colleagues had understandably stormed the National Assembly on Tuesday in protest. Then, a commercial bank, Sun Trust Bank was fingered as being the one withholding the salaries. But the bank has now come out to say it had no hands in the delay or withholding of the aides’ salaries. The Executive Director for Finance and Risk, Usman Abdulqadir, at the press briefing in Lagos told reporters that the bank is not responsible for the delayed salaries. “In this vein, as banker to some of the NASS accounts, the bank has received the mandate to make payment to various beneficiaries and those payments have since been relayed, some via REMITA, to the relevant banks. “We advise that persons who are yet to receive payments executed by us should have first checked with his/her bankers to trace where such payments are held. “We categorically restate that we do not fail to honour any obligation to our clients,” Abdulkadir said. So, who exactly is holding the aides’ salaries?